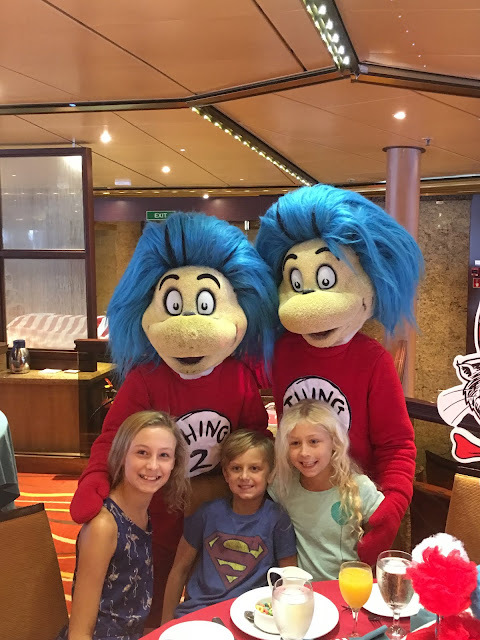 If you missed the first two posts of our cruise and are interested in a similar vacation for your family on Wednesday I talked about all of the fun things on our ship and yesterday I shared about the ports we visited. 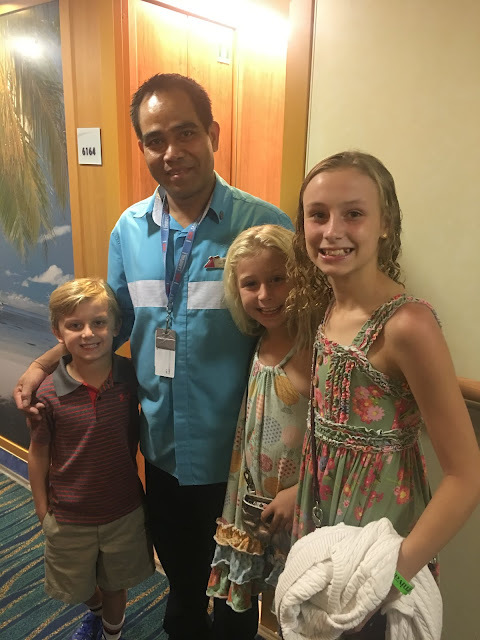 We had great experiences with the dining on board and really enjoyed our meals together as a big family each evening. 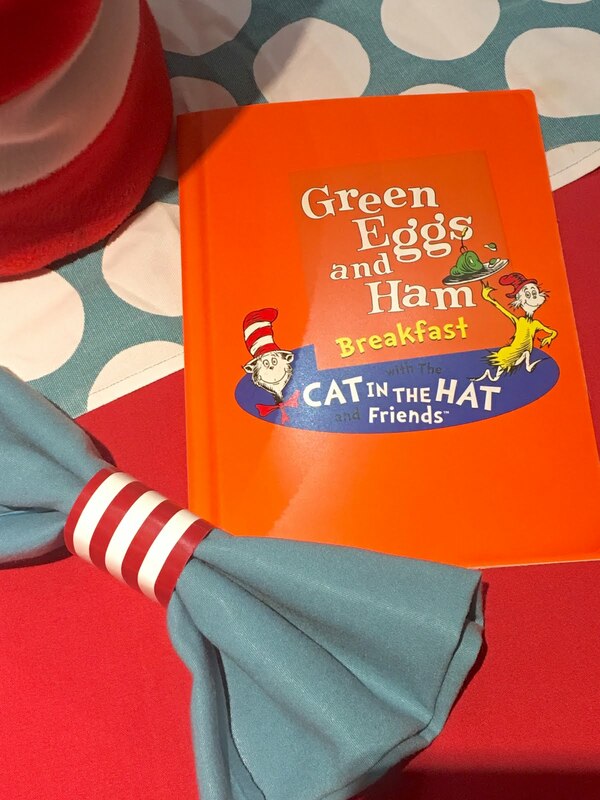 We would do breakfast and lunch in the main cafeteria type dinning areas and just eat whenever we wanted. However, for dinners we ate in the main dining room most evenings and loved that experience. The kids were on their best behavior each night and got great experience eating in a "fancy" place with white table clothes, several course meals and being able to order for themselves was a great experience. Our serves were all fantastic and that was one of the things we enjoyed most about our dining was really interacting and getting to know our servers. A few nights we were able to eat at the specialty dining restaurants on board and really enjoyed those also! Fahrenheit 555 was the steakhouse on board and it was our very favorite. The food was delicious and the service was wonderful. 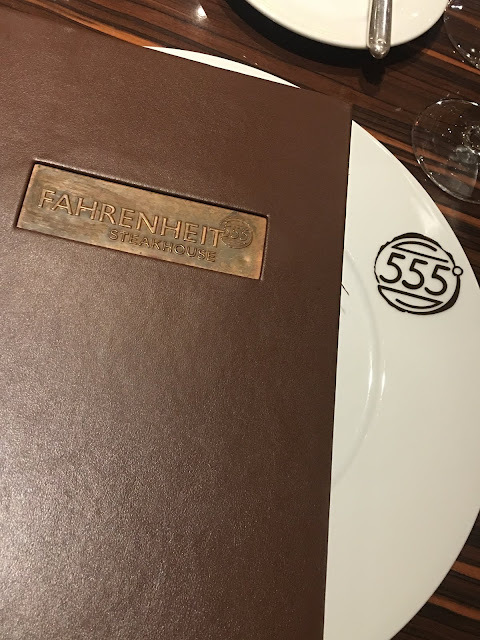 You could tell it was just a bit of an upgrade from the standard dining experience and we enjoyed it! 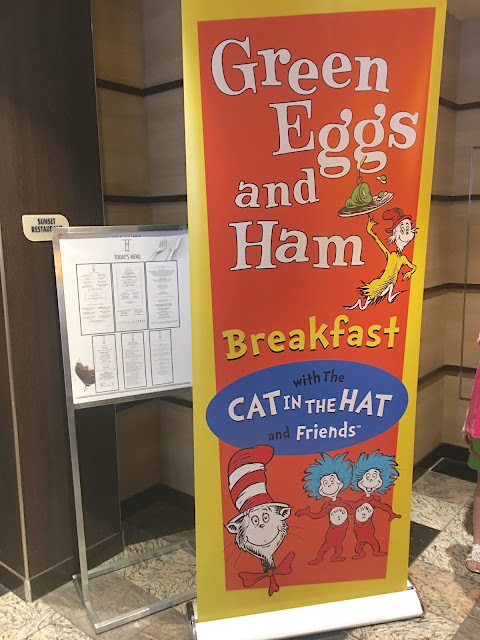 My kids said they preferred the main dining are instead because they thought this was a little too fancy and they might have been the only kids in there, but they still did great. Being able to dress up each night and really get to enjoy each others company was one of my favorite things about the cruise! 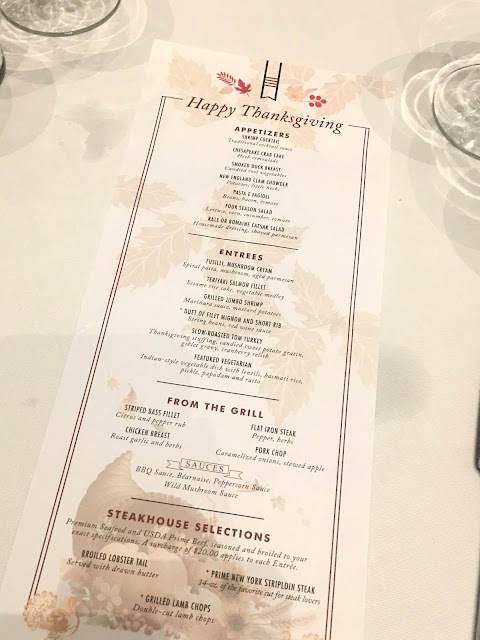 Some people found it weird that we were going out of town over Thanksgiving, but honestly for us Thanksgiving has never really been a big holiday. I mean, we cooked a turkey and all the sides because that is just what you do on Thanksgiving, but it's usually a small gathering so we were happy to spend the week out of town. The ship did have a special Thanksgiving dinner planned and offered all of the traditional Thanksgiving foods you would expect. I had teriyaki salmon for my Thanksgiving dinner and it was fabulous! My family couldn't believe I wasn't going to have turkey, but this meal was probably my favorite meal of the enter week. The kids are one to talk though because two of the three had chicken nuggets and french fries for their Thanksgiving dinner and I guarantee they ate more of that than they would have the turkey at home. On our last full day of cruising we had reservations for the Green Eggs and Ham breakfast. We were all so exhausted by the end of our trip that we went to cancel our reservation so we could just sleep in that morning. However, the nice lady at guest services told us we would regret canceling and that it was one of the best things about the ship so she talked us into going and I'm so glad she did! They had two seatings and we opted for the later one and the kids were entertained while we were waiting. The menu was adorable and set up like a storybook. The descriptions of the items were so entertaining and cute to read. 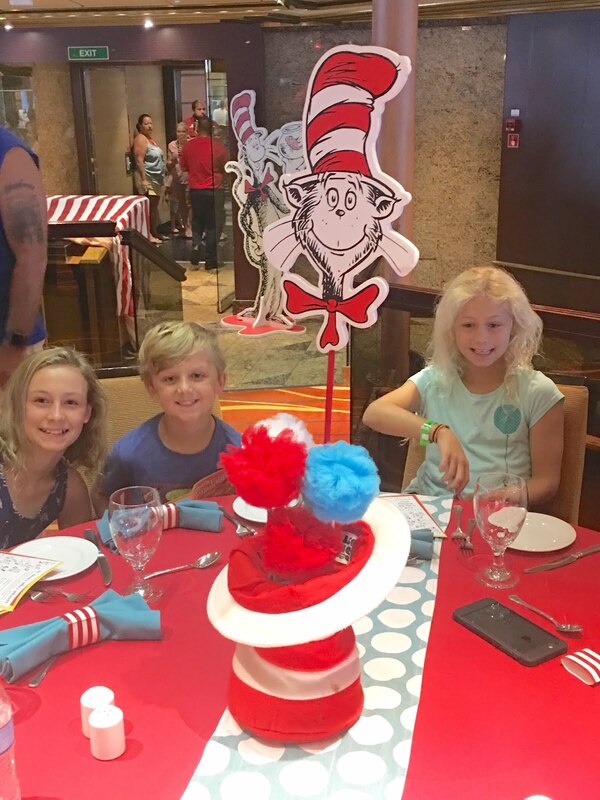 The tables were so fun and festive and our family was so excited to be there and happy that we decided to stick with the breakfast. There were characters walking around and interacting with the kids which they loved. 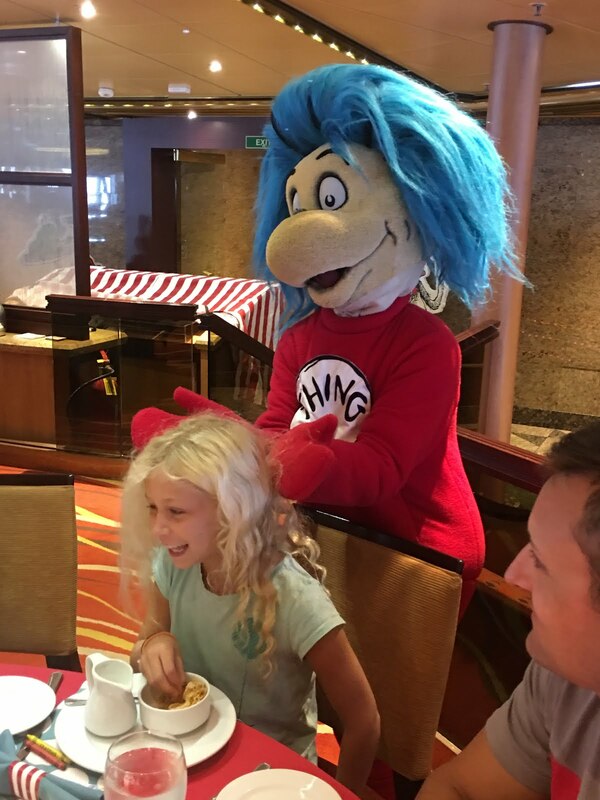 We enjoyed our fun breakfast and it was the perfect way to spend our last day on the ship. One thing I meant to mention in an earlier post was how wonderful all of the staff was on the ship. Even the very first day little Boo-Boo told me, "everyone is so nice to us here." His little 6 year old observation of that was so sweet and he was correct. They really go out of their way to make your experience the best possible one and our room steward was fantastic. He greeted us each by name every time he saw us coming down the hallway and we loved getting to know him. 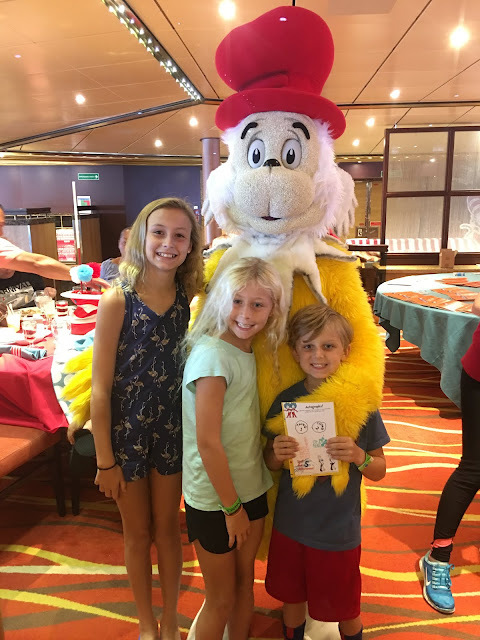 Now, if anyone is thinking about taking a cruise vacation with your family I want to share some info that I learned along the way that was helpful. 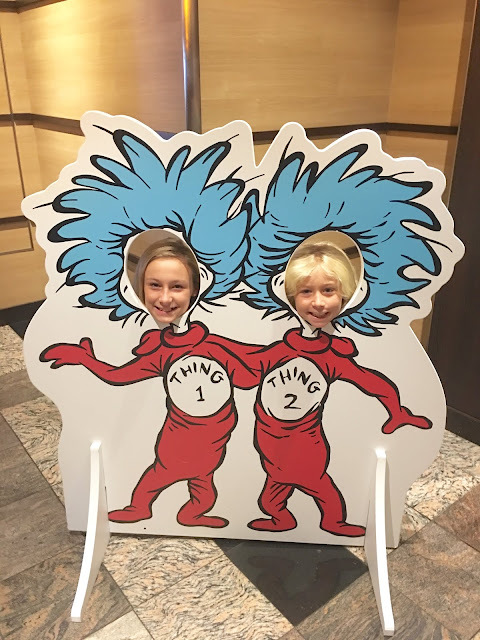 We loved our trip and the kids thought it was the best vacation ever. It was a lot of work for us to keep up with all they wanted to do and be on the go nonstop, but it was worth it. There are tons of people on a ship and if you don't like big crowds this might not be a trip for you, but there is so much to do and so many different things offered that I really feel like you can get away from the masses and enjoy just being together as a family also. *Cash - We used cash a lot while we were at the ports and also to tip our servers and room stewards extra at the end of the cruise. *Reusable water bottles - We each brought one and it was nice to be able to fill up during the day to have with us at the pool or to be able to take off the ship when we were at port. *Wine - Each adult is allowed to bring one bottle of wine and we definitely enjoyed this. We probably could have brought more without them knowing. *Sunscreen - We went though a lot of sunscreen during the week. *Beach bag - This was a last minute thought and I'm so glad I remembered it. 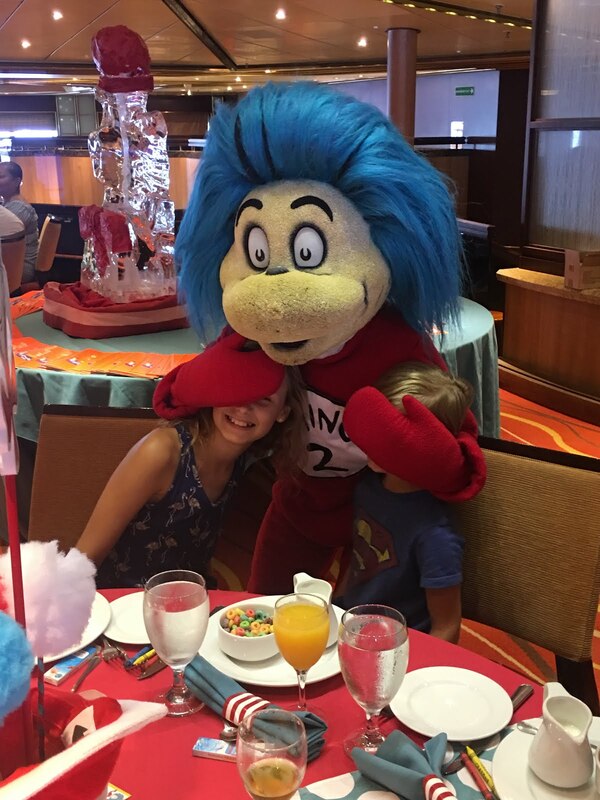 I loved having it to carry around the ship with the kids drinks, goggles, sunscreen, etc. and definitely when we got off the ship. *Googles - My kids used these in the pool and on the beaches. 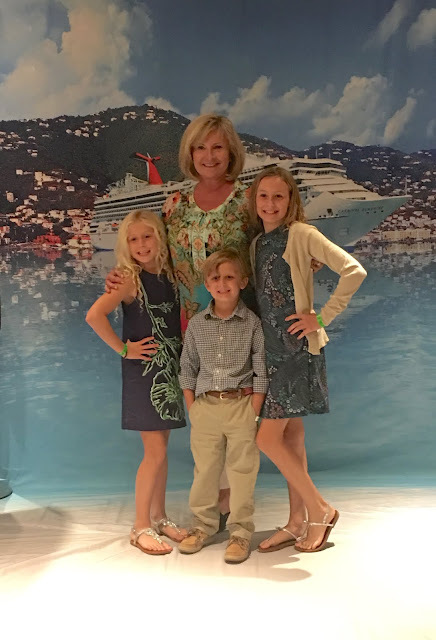 *Sandals with strap - We did a lot of walking either on the ship or around the ports and also sometimes the beaches were rocky so it was nice for them to have shoes they could get wet. 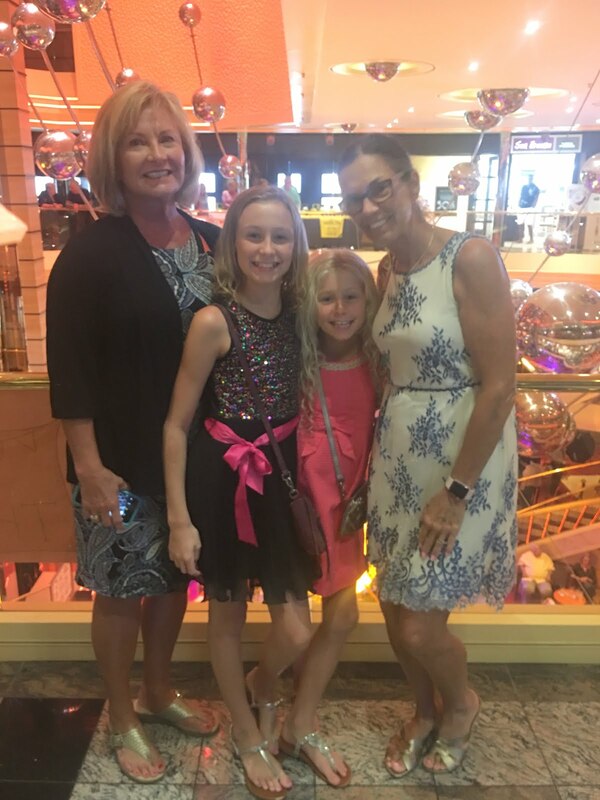 *Lanyards - Each person on the cruise is issued a card that serves as your pass on and off the ship, used for onboard purchases, is your room key, etc. A lot of people had lanyards to attach these to and it would have made it easier for me instead of having to dig it out of my bag each time. *Magnetic hooks - I had read about this, but just ran out of time before we left and didn't get to pick any up. With very little storage or space in the cabin it would have been nice to have extra hooks to hang swimsuits and towels to dry. *Conditioner - I read that basic toiletries were provided so I didn't bring my own shampoo/conditioner/bodywash, but when we got there only shampoo and body wash was provided so next time I'd be sure to bring conditioner! *Snacks - I had thought about bringing snacks, but the Mr. convinced me otherwise because of all the food on the ship. 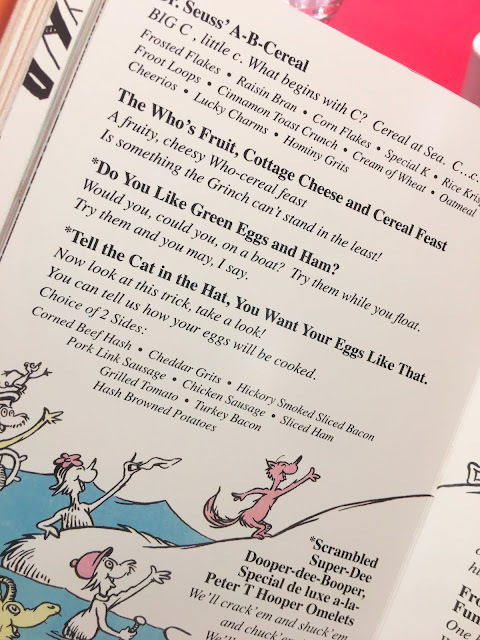 However, if your kids are like mine and like to eat all of the time it would have been good to have some things like crackers, pretzels, granola bars, etc. that I could just throw in my bag and have to offer them. Every time the wanted something we had to go to the dining room and find pizza or another type of food for them when really a couple of pretzels would have done the job. *Lots of clothes - We all packed WAY too much. We pretty much lived in swimsuits/coverups and then put on our nice clothes for dinner each day so we could have left a bunch of other stuff at home. *Books - Silly me brought 3 books on this trip. I really had high hopes of getting some good reading time in, but that just didn't happen because you know...kids. Someone always needs something and we were just on the go a lot. *I wondered about needing beach towels, but we were issued one for each person in our family and could trade them out for dry/clean ones as needed. These were able to be used on the pool decks and also taken off the ship for the beaches at our ports. *Drink package - We probably would have enjoyed having the drink package. We still bought bottles of wine at dinner and had a few fruity cocktails here and there and might have mixed some drinks of our own, but we would do the drink package next time for sure. 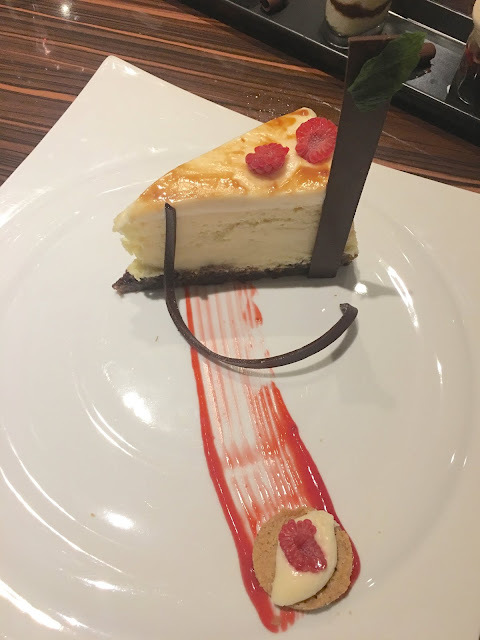 *Our minimal tips were included at the end of the cruise, but we felt that several of the staff went above and beyond, so we were happy to provided them with a little something extra. *We had originally done the anytime dining. It works like a regular restaurant where you show up when you are ready to eat and might have to wait a little while to be seated, but the first day we were able to get that switched and have an assigned seating time. It helped us from not having to wait with a large party and kept our servers consistent each night. I would plan for assigned seating next time. *Packing in duffel bags was helpful because we could slide them under the bed to free up more space. *You can ask your room steward for extra hangers which helped with so many of us in one room. *We all squeezed in one cabin, but if I had it to do over I would get two rooms. Even if they were down the hall from one another. We said we would do a girls cabin and a boys cabin next time. *This was a great trip to take with a large group. 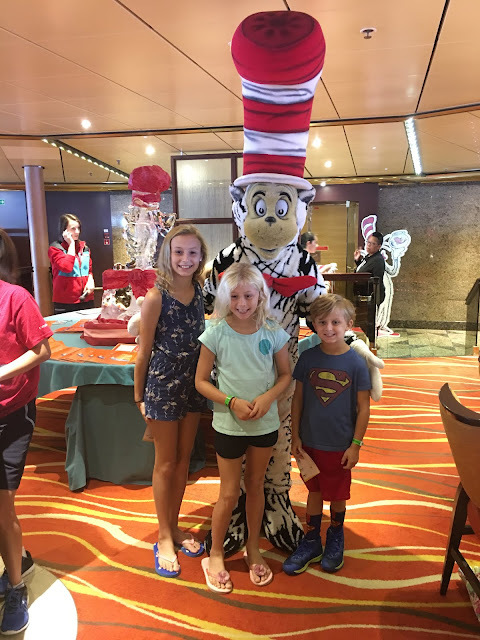 We saw so many BIG and extended families on the cruise...some with matching t-shirts each day! It was nice because if some people wanted to do their own thing during the day they could, but we always met up for dinner together each night so we still had a lot of together time. *The pool on our ship was really a lot smaller than I was expecting. There were so many kids who wanted to swim and just a small pool, so we spent more time at the waterslides instead. It was also hard to find lounge chairs near the pool on sea days and we had better luck at the waterslides for that, too. *Each night you can place an order on your door for room service breakfast and we usually did this to get some little cereal boxes for the kids to have as snacks during the day. 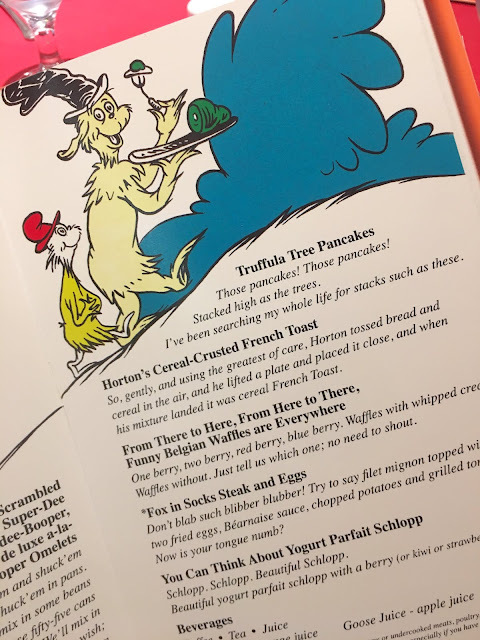 These were also available in the dining room each morning. *I had the wi-fi on the boat, but it was very limited and very slow. I don't know that I would pay for it on another trip. *We used the Carnival Hub app on the ship and it was so helpful. It had the schedule of events each day, dinning and attire info for each day, the ship time (which was different than local time sometimes) and it also had a chat feature we used. For a very small fee you could basically chat/text through the app to other members of you family who also had the app. It was the only way we were able to communicate where we were or get in touch with one another when we weren't in our rooms. The kids were able to use it on their devices also! I feel like I had so much else to share, but that is all I can think of at the moment. If anyone has any questions for me, please leave them in the comments and I'm happy to answer!